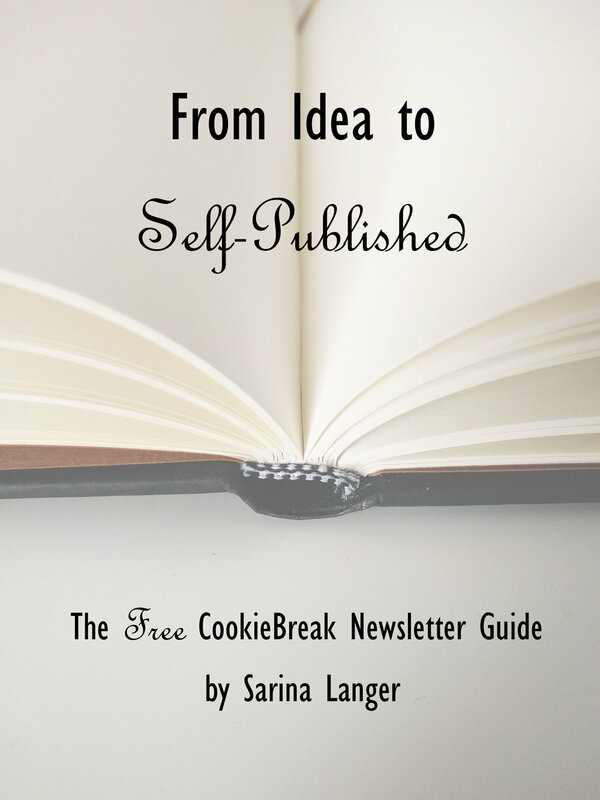 I'm so thrilled to have fellow author Sarina Langer on the blog this week to share some invaluable nuggets of writing wisdom and talk about her wonderful upcoming guide for aspiring indie authors! I had the pleasure of beta reading the guide (From Idea to Self-Published) and will definitely be recommending it to everyone I know who's interested in self-publishing - I wish I'd had it when I got started! Now grab your beverage of choice, get cozy, and enjoy the interview! Hi, Sarina! What inspired you to write this guide? Self-publishing your debut novel is a huge, scary, and exciting thing. Indie authors don't have the greatest reputation, which doesn't help. I want to help new writers self-publish their books in a way that gives them the best possible start! Primarily, it's for new writers who have yet to self-publish their debut. But it can also be used by authors who have self-published before and feel that it didn't go as well as it could have. I don't want to give anyone the impression that my little guide will get them thousands of sales in their first week, but I do want writers to know that success is achievable if they're willing to work for it! If you've never self-published before, my guide will be useful. If you've already self-published several times and know what you're doing, I doubt you'll learn anything new. What sorts of things will writers learn from it? I've tried to cover as many aspects as I could without making it overwhelming. Chapters include how to put your team of pros (editor, cover designer, and cartographer) together, how to work with critique partners and beta readers, how to build hype before the release date, and what you can do to promote your book after you published it. My favourite resource ever is Self-Printed - The Sane Person's Guide to Self-Publishing by Catherine Ryan Howard. It was the first book I borrowed from my library and bought after, and I still refer to it here and there. Without it, publishing Rise of the Sparrows would have been a disaster! What are your top 3-5 pieces of advice for writers who have just finished a draft and are wanting to publish, but have no idea where to begin? Treat yourself. You've earned it! Don't rush. Set your draft aside, and come back to it in a month (minimum!) to start your own first edit. You've finished the first draft, but the real work begins now! Reserve the pros you want in advance. Editors and cover designers (and cartographers, if you write epic fantasy or sci-fi) get booked quickly, and it'd be a shame if you had to miss out because you waited too long! Reach out, if you haven't already. There's a big community of writers and bookworms out there, and I've found it to be an incredibly encouraging and supportive network. Come join the Indie Writer's BrownieBreak on Facebook--it's my group where writers support each other. If at any point you think 'it'll do' or 'this is good enough', you're not done. You're about to publish your own book - presumably, this is something you really want?--and 'it'll do' just won't do. Your passion deserves better than that. A few things! I'm about to send Darkened Light (Darkened Light Duology #1) to beta readers, I'm in the middle of editing Blood of the Dragon (Relics of Ar'Zac #3) for the first time (the first two edits are always the worst and longest, if you ask me), and I'm just wrapping up the first drafts of the prequel novella to the same trilogy as well as the first novella of a new novella trilogy. Busy days! Do you have a favorite relevant quote you'd like to share? Snag a copy of Sarina's guide by clicking HERE or on the photo below! Sarina is the author of the Relics of Ar’Zac trilogy. The first book in the series, Rise of the Sparrows, was released in late May 2016. She’s currently working on Book 3 in the series and is editing Darkened Light, the first book in her new fantasy duology, as well as some other dark and stabby things. She’s obsessed with books and all things stationery, has a proud collection of over twenty notebooks, and squees every time she buys a new notebook, pens (hmmm, fountain pens <3 ) or highlighters. In her free time she reads fantasy and sci-fi novels, plays video games, and researches human sacrifice traditions and the end of the universe.